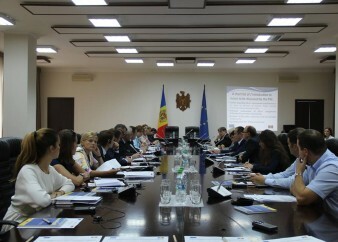 Seminar "Reform of the Labor Legislation ", organized by the EU High Level Advisers’ Mission to the Republic of Moldova, in collaboration with the Ministry of Health, Labor and Social Protection of the Republic of Moldova. Over 180 stakeholders of the milk sector – food safety inspectors and milk producers – gathered today in a conference to discuss and share best practices in ensuring high quality of milk and dairy products in the Republic of Moldova. 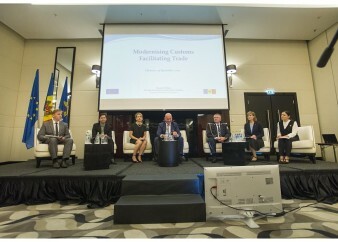 The event, organized by the EU High Level Advisers’ Mission in collaboration with the Embassy of the Republic of Lithuania and Food Safety Agencies of the Republic of Moldova and the Republic of Lithuania, was designed to strengthen administrative and institutional capacities of authorities responsible for policy making and its implementation in sectors related to food quality and safety requirements, as well as in dealing with food frauds. European Union High Level Advisers’ Mission to the Republic of Moldova, in collaboration with the Embassy of the Republic of Lithuania to the Republic of Moldova, the State Food and Veterinary Service of Lithuania and the National Food Safety Agency of Moldova have the pleasure to invite you to the conference 'Milk Quality and Safety'. The team of EU High Level Advisers gathered in a working meeting with the new Head of European Union Delegation to the Republic of Moldova, Ambassador Michalko. The aim of the meeting was to have a discussion on the main priorities of the project, as well as key issues in each sector. 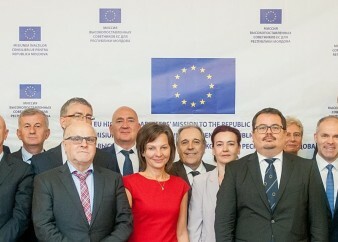 Steering Committee Members of the ‘Assistance to the Implementation of EU High-Level Advisers’ Mission’ project held an ordinary meeting today, 8 September, taking stock of the progress achieved in project implementation and endorsing its Interim Semestrial Report. Over 150 business representatives gathered today, 5 September, at the Annual Reunion with the Customs Service, aimed at increasing awareness of the Customs reforms and enhancing cooperation. The event was organised with the support of EU-funded project ‘Assistance to the Implementation of EU High Level Advisers’ Mission’. The event took place on the 21st of August, with the participation of Moldovan authorities and representatives of beneficiary institutions and the EU High Level Advisers. 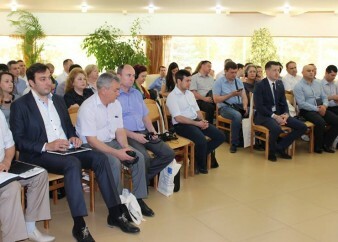 Over 30 experts of the Bureau for Reintegration and other Ministries and Agencies, members of the working groups engaged in the Transnistrian settlement process in the fields of transport, education, economy, environment and combatting of crime, took part in a workshop aimed at increasing their coordination and effectiveness.